Summer is here and it’s well and truly clear! With tanned limbs, golden-streaked hair and the odd new freckle or two, Spell Byron Bay has the perfect pieces to show off your summer glow and have you feeling 100%. With a road trip planned to Byron Bay in NSW Australia, we captured a few days on the road with a suitcase full of Spell from our favourite stockist The Freedom State. Jump on in and start planning your summer weekend trip! All Images edited using Cosmos Companions Lightroom Presets available via clicking here! We just love the feeling captured in these images by Cosmos Companions! 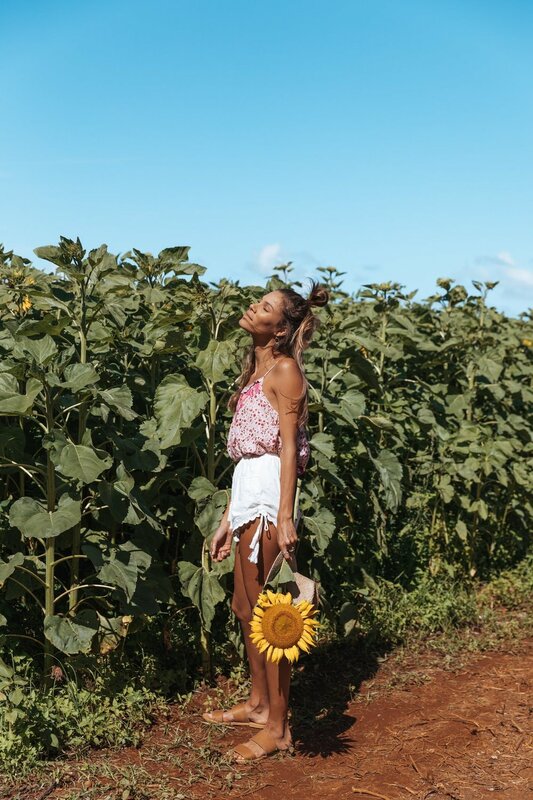 Shot in and around Byron Bay, they really give us that feeling of Summer.. turquoise waters and fresh food.. and of course, sunflowers! Every time we see one of our beautiful stockists use our pieces in a shoot, we get so excited because it gets interpreted in a new way!